​EA Sports and adidas have unveiled all new custom kits for Manchester United, Juventus, Real Madrid and Bayern Munich for use on FIFA 19 Ultimate Team. The jerseys are all fresh, creative takes on these four giants' existing designs, providing a unique experience for fans. And, to add to the excitement, fans can also buy each of these shirts in real life via their club's stores. The bold new designs were announced through a video with ​Paulo Dybala, Marcelo, David Alaba and ​Jesse Lingard all sporting their respective threads. 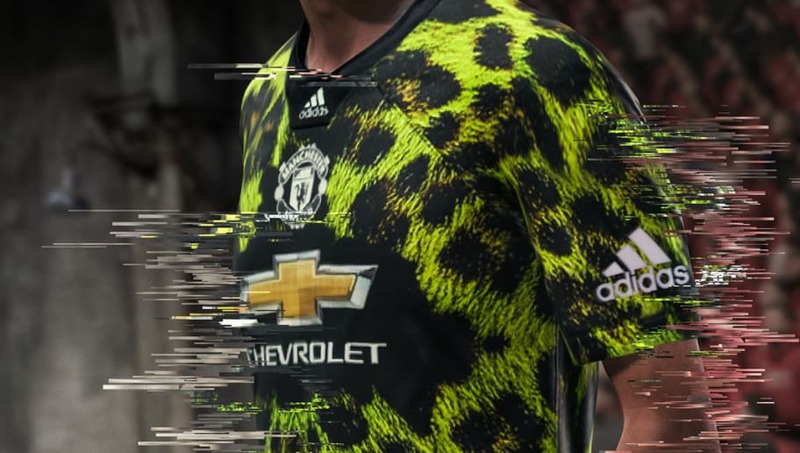 ​United's is perhaps the most off-piste of the designs, utilising a lime green/yellow leopard print on a black background. According to the developers: "The limited-edition kit was born from fashion and inspired by street trends right from the heart of Manchester. "The leopard print design is as progressive, innovative and bold as the Manchester United squad and allows players to be a game changer on the pitch or online." ​I Bianconeri's on the other hand, is the most simple of the creations, although it does belie that nickname by opting for an all white top, with the only black to be seen on the collar. For both, the badges are centralised, as is the case with ​Bayern's. The Bundesliga team are represented with a much more 'out there' pattern, and was conceived as "a celebration of FC Bayern’s team of stars and their status as ‘Stern des Südens’." In a similar fashion, and living up to their 'Galactico' associations, Real Madrid have these same stars dotted around their's, imposed on a dark blue background "reflecting the Madrid night sky, paying homage to a club which is full of stars that are blessed with skills from another planet." All four of the tops have the adidas logo imprinted at the centre of the collar, and are available on each of the club's online stores now, as well as on the ​adidas website. The digital versions are available on the game for PlayStation 4, Xbox One and PC customers on November 29th (today! ), while Nintendo Switch users will have to wait until December 14th. For more details on how to obtain the kits digitally in FIFA 19, players can visit www.easports.com/fifa/easports-x-adidas-limited-edition-jerseys.